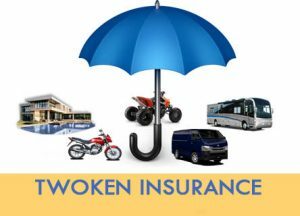 TWOKEN INSURANCE AGENCY IS LICENCED TO TRANSACT ALL LINES OF GENERAL AND LIFE INSURANCE BUSINESS. TO PROVIDE QUALITY INSURANCE PRODUCTS THAT ARE TAILORED TO OUR CLIENTS’ NEEDS. P.O.BOX 12196-10100 NYERI. Tel: 061-2030340. Commercial & private motor vehicle. Burglary-loss or damage to property. Following forcible and violent entry. The basic fire policy provides indemnity against loss or damage caused by fire / lightening and explosions. While in transit to the bank or vice versa. In premises during working hours. Damages to safe or strong rooms. Within their premises in locked safes or strong rooms outside business hour. Loss or damage to their private buildings. Households and personal belongings against fire,lightning, explosions and other related perils. It indemnifies the insured against loss of money or goods as a result of dishonesty-by employees. This policy provides cover for the loss or damage to property caused by fire, theft or accidental means while in transit subject to certain exclusions. (1) Acts on behalf of clients in matters relating to insurance. (2) Offers information to clients regarding the status of insurance companies. (3) Timely delivery of insurance covers.